Airservices Australia and Inmarsat announced yesterday (March 1, 2015) that they would lead trials of a GNSS-aided aircraft tracking system to improve surveillance of aircraft over ocean regions. The formal announcement of the trial was made by Warren Truss, Australian deputy prime minister for infrastructure and regional development, at Parliament House in Canberra. It follows a resolution approved in February by the International Civil Aviation Organization (ICAO) to adopt a new 15-minute tracking standard for commercial aircraft. The trial makes use of existing technology by establishing a minimum 15-minute reporting interval using satellite-based positioning technology called Automatic Dependant Surveillance – Contract (ADS-C). Qantas and Virgin Australia aircraft involved in the trials will report their exact position, airspeed, altitude, and heading in data packets sent via Inmarsat geostationary satellites to air navigation service providers (ANSPs). The ADS-C standard requires a peer-to-peer relationship with a ground facility to acknowledge receipt of ADS messages. Airservices Australia is the first ANSP to trial the ICAO standard, using Inmarsat’s global flight tracking ADS-C messaging service. 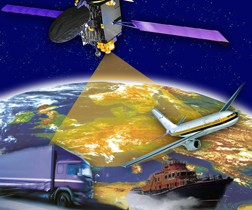 According to Inmarsat, more than 11,000 commercial passenger aircraft are already equipped with an Inmarsat satellite connection, representing more than 90 percent of the world’s long-haul commercial fleet. The announcement came almost exactly a year after the disappearance of Beijing-bound Malaysia Airlines flight MH370, involving a Boeing 777 that disappeared on March 8, 2014, while on a flight from Kuala Lumpur to Beijing. The ensuing search has covered vast regions of the Indian Ocean off the west coast of Australia at an estimated cost to Malaysia and Australia — the two nations involved in the search — of nearly $40.5 million. “Airservices also recognizes the work being done by ICAO . . . and other international bodies to improve aircraft tracking globally and this trial aligns with the recommendations arising from the ICAO High Level Safety Conference earlier this month,” Staib said. Since January 30, Qantas and Virgin Australia flights in some oceanic airspace to the east of Australia have been tracked at regular intervals of 10 to 15 minutes as a proof of concept. Executive General Manager of Air Traffic Control, Greg Hood said “This trial is an immediate step that we can take to improve aircraft tracking and I thank Inmarsat, Qantas and Virgin Australia for their early cooperation. 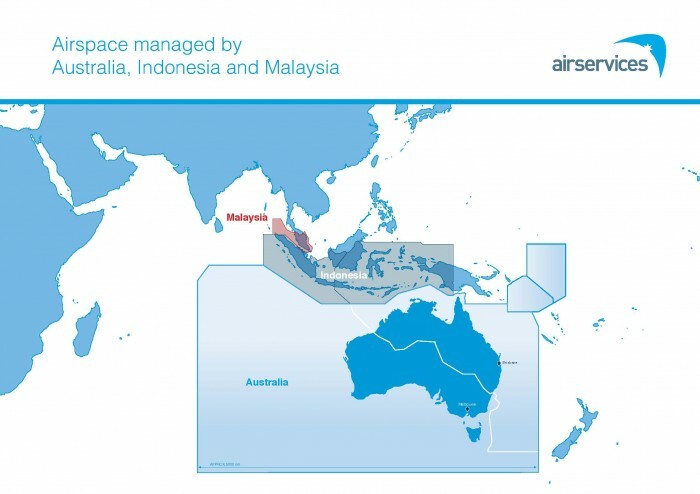 “We will now work with all our airlines customers and our Indonesian and Malaysian colleagues to trial a 15 minute ADS-C reporting rate for all aircraft that operate in oceanic airspace managed by our three nations and we look forward to sharing our experience with the global aviation community,” Hood said. Airlines flying over continental Australia are already tracked in real time by radars or continuous position reporting to Airservices ground stations. Some U.S. congressional leaders are pushing for earlier action on improved aircraft tracking.